The sportiest version of the new BMW 2-Series car is something we're looking forward to, and thanks to these leaked official images, I can show you exactly why. Imagine a rear-wheel drive coupé with 50:50 weight distribution, variable steering ratio, a six-speed manual (or an 8-speed automatic) and a turbocharged 3.0-liter inline six with 322 horsepower. The package is rumored to weigh around 3,200 pounds, get to 62 mph under five seconds and have a future price tag of under $50,000 U.S. 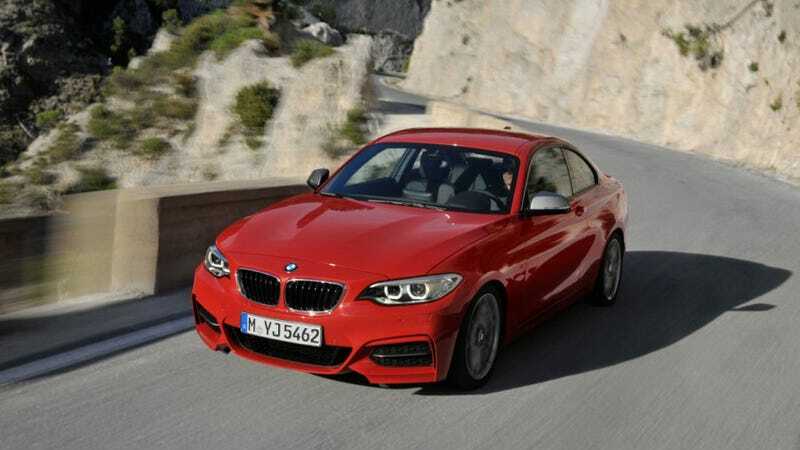 The M235i will also feature the usual BMW gadgets like start/stop, eco pro mode and brake energy regeneration as standard, with the ZF 8-speed automatic, lane departure warning, park assist, rear-view camera and xDrive remaining on the options list. Can't wait to drive it, with a manual of course.